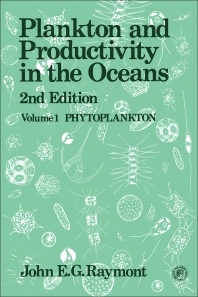 Although Volume 1 deals mainly with phytoplankton, it ends with a comparison of the primary productivity of different major regions and of the factors responsible for varying production. For botany and marine biology students, teachers and researchers. (partial) Physical aspects of the oceanic environment. Chemical composition and characteristics of seawater. Primary production. The algae of the phytoplankton. Phytoplankton crop. Factors limiting primary production - light and temperature, nutrients, grazing. A global view of primary production.